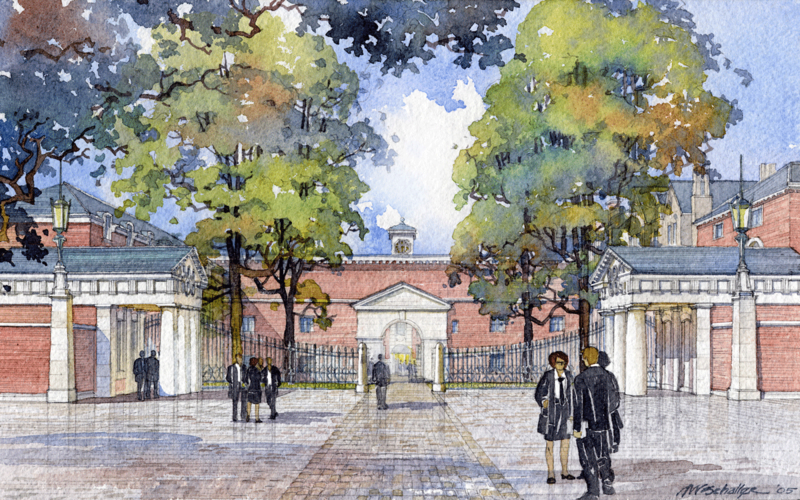 Two buildings and a new gate complete the New Era Project, which began with the same architects’ Pipe Partridge Building (2010). The additional facilities include The Clore Graduate Centre and a new Porters Lodge and reception area, providing 42 study-bedrooms, seminar, reception and teaching rooms. The buildings are arranged around a new quadrangle, set in front of the earlier Wolfson West building (Raymond Erith, 1964), with a gate facing Norham Gardens. In Simpson’s words, Erith “envisaged his building as part of a new entrance quadrangle but after 1964 the work went unfinished. 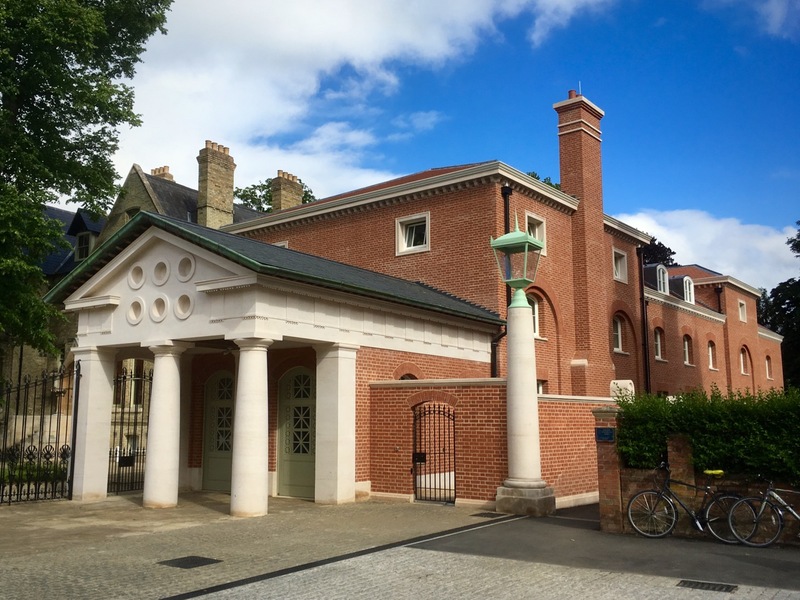 Now, we have the opportunity to complete the sequence of spaces that should form the entrance and transform the way the college is perceived.” Simpson’s new classical style has taken an exuberant turn in the prominent entrance porticos, but otherwise maintains the architectural style of LMH’s principal buildings.